Lord, with all the hard things happening in the world, both near and far, it is so encouraging to hear rescue stories. 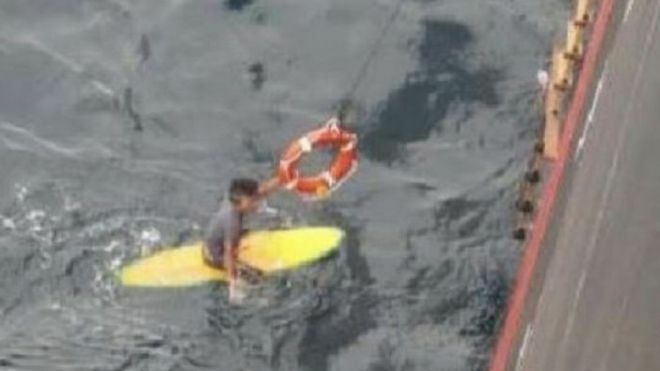 Lord, we are just thrilled that a 37-year-old Japanese surfer was rescued after floating in the ocean for 16 hours. We cannot imagine how that felt to drift through the night on a surfboard, probably not having much hope of survival, and then to be picked up by a boat the next day. We are thankful that temperatures stayed low enough for him to avoid hypothermia, and that the crew members of the MSC Damla were observant and willing to go out of their way. Lord, bless those who rescued him. Bless the recovery process of this surfer. Thank you again that this man is safe, and that there is always hope in you, whether the days seem bright or dark. In Jesus’ name we pray, amen.